The days of driving through sleepy downtown Frisco are over. Full disclosure, as I pass through and spot something new on either side of Main Street, I feel compelled to park and take a closer look. On social media, I regularly see check-in’s and photos from some of the great establishments located there; a firepit photo at eight 11, a porch pic from the Heritage Table, an early morning coffee from Summer Moon, an event at Frisco Fine Art, or a group of gal pals enjoying a fun craft night at Brookielynns Bungalow or Crafted . The Rail District has become a destination where people connect with one another. Get ready, Frisco, there’s more to come! Now, some locally-owned boutique developments are going vertical, blending in with the character of the area. Nack Development’s highly anticipated Patios at the Rail, located at the corner of South County and Main, is well on its way to completion later this year. Dining alfresco under a string of garden lights or gathering for mom’s night out, this development is described as a place where people can engage from sun up to sun down. It will incorporate retail, restaurants, office space, and entertainment across three floors with a convenient parking garage and a rooftop gathering space. Taking up residence in the development will be some carefully curated merchants, selected for the unique experience and flavor they’ll add to the area for those who live or visit. President of Nack Development Donny Churchman shared with us how he chose these businesses. Downtown truly is my passion. Everyone wants to develop the 100- and 200-acre sites but I want to create a space that’s everybody’s neighborhood. I wanted to be picky and these tenants have been carefully selected as offering unique concepts that truly embrace the meaning of a downtown. 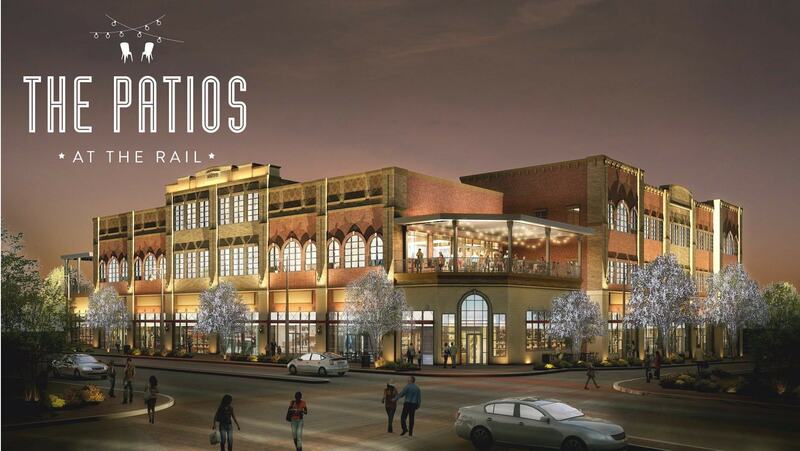 Allow us to introduce you to the merchants who will soon open their doors at the Patios at the Rail. Let’s take a closer look at who they are, what services they offer, and how they feel about this next step in their business. 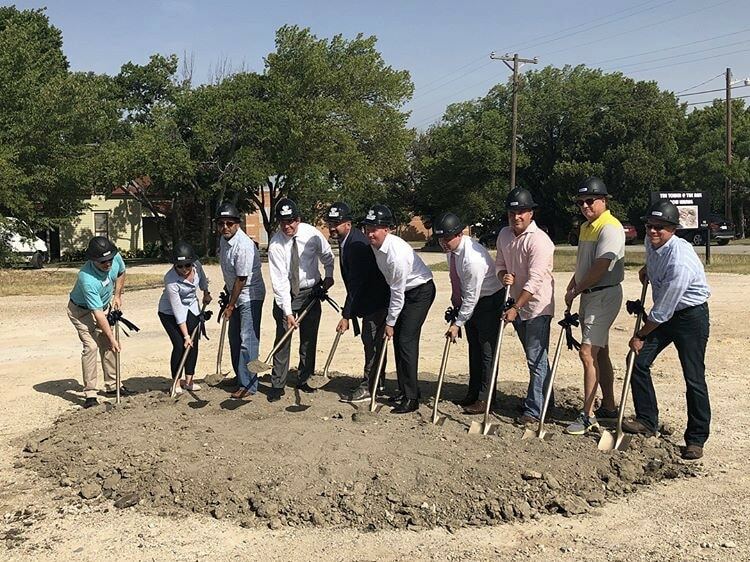 A company that has truly made a name for themselves locally and beyond, Frisco is very proud to call these local entrepreneurs “ours”. Tumbleweed TexStyles was founded by two Frisco ISD teachers, Bryan Wysong and Jeb Matulich, with a very modest investment and a lot of inspiration. The influence for their “TexStyle” comes from their personal connections to Texas and its history. 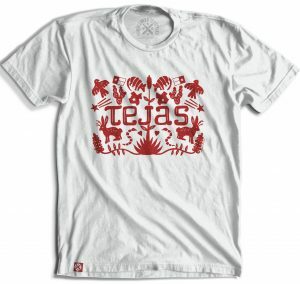 From the places they travel, the food and drinks they consume, the music they listen to, or the adventures they experience…you can feel Texas culture in the unique designs. 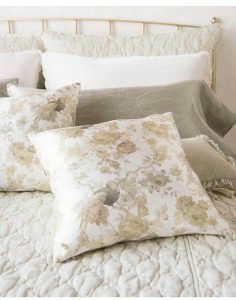 While they’re best known for their comfortable, stylish t-shirts, they also design glassware, stickers, décor, and more. 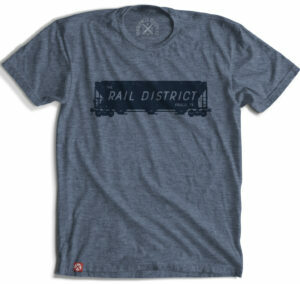 Founded in 2011, you can now find their branded designs in shops all over the United States, at local events, and online. It’s the perfect fit for our brand and will also provide a great opportunity for Tumbleweed TexStyles to expand our product offerings and build an experience inspired by our Tex-style. The guys receive inquiries all the time about the location of their store so they feel having an actual retail base where customers can walk in and browse will make a huge difference. The store is intended to be more than just a place to sell their products, however. The hope is for it to become a space to build relationships with friends, shake customer’s hands, and contribute to the community. 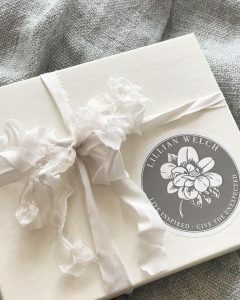 Currently located at 5th and Main Street, Lillian Welch is an inviting, treasure trove of beautiful things! Named after her grandmother, she dreamed of opening a place where people can find truly unique pieces for their homes and lifestyle or purchase a gift for that someone special. As for the opportunity to join the Patios at the Rail, she describes it as an honor and the biggest leap of faith since launching her first store. Working with Nack Development, she’s only too happy that someone finally came along with a heart and vision for the historic area that matches her own. She had a gut feeling years ago that downtown Frisco could be a wonderful small town inside a big town and she embraces the idea of it evolving into a truly unique destination we can all be proud of. As we discussed what to expect in her new premises at the Patios her face beamed. I’m elated at the idea of a blank space to bring a whole new and improved version of Lillian Welch to life. It’s super intimidating and super exciting all at the same time! Anne Marie feels Nack Development has the merchants’ interests at the forefront. Describing life as a downtown merchant, she says she loves how there is rarely a day when she doesn’t see a familiar face just walking a block or two. Local entrepreneur and Queen of crafts Brooklyn and her husband Matt are collaborating to bring an exciting new concept to the Patios at the Rail. As Rail district residents themselves, she’s the founder and owner of Brookielynn’s Bungalow; a destination that caters to all kinds of events, workshops, and gatherings – as well as the Frisco Photography Room. Matt, a former airline pilot, now turned real estate agent, specializes in historic downtown Frisco property, serves on the Downtown Frisco Advisory Board, and was a key player in the Downtown Master Plan Project. They’ve both been strong advocates for the revitalization of the downtown area and enjoy a shared passion for community life. While they’re not yet ready to reveal all of the details of their new venture, they’re exploring the idea of introducing a concept to serve the creative culinary community, in the form of commercial kitchens. This will be a place where people can come to rent a space, offer culinary classes, or provide cooking demonstrations. Having lived in the area for several years, fully embracing life in the Rail District, the Calloways feel very much at home in the community. They share Nack Development’s vision for the future and felt it only fitting to invest in the Patios at the Rail. 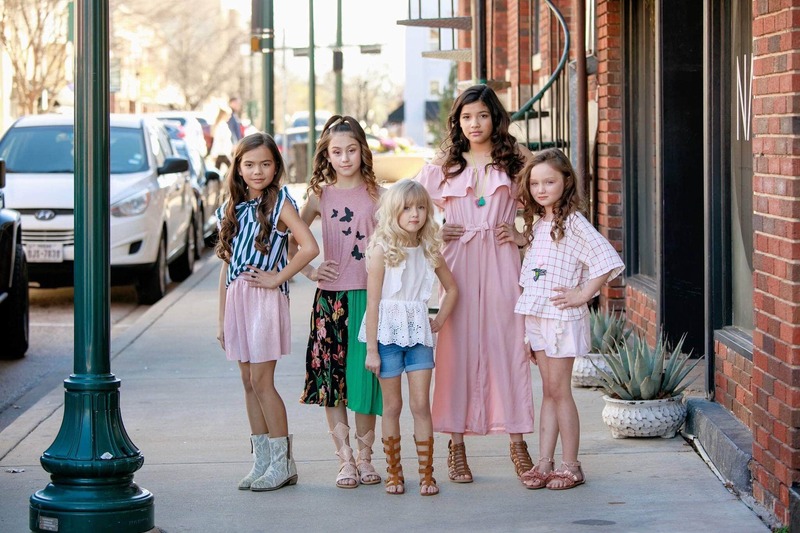 Not a stranger to doing business in the Rail District, Dana Kreuger Le, former co-owner of the beloved downtown biz House of Hadley Kate is now heading up a trendy kids’ and tween boutique carrying clothing, accessories, and gifts. 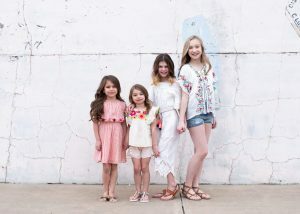 J & K Kids Supply will occupy another of the units at the Patios at the Rail featuring hand-selected, quality items in a variety of age-appropriate styles. Dana explains that she and her husband have always been big supporters of the Rail District and when she started to consider a physical location for her store, she knew she wanted to stay in that area. Right now, J & K Kids Supply has a strong online business and from time to time holds pop up shops, but Dana loves the idea of having a permanent retail space in the vibrant historic downtown area. She enjoys being an active part of the community and will continue to contribute via their brand rep program and community outreach activities. Embracing the character and nostalgia of the area she’s honored to be included in its future and very supportive of Nack Development’s vision of ‘come for a while and stay all day’. It’s evident that co-working spaces are becoming very popular around North Texas so naturally, the Patios will have their very own – but with a twist. It will be a space dedicated to supporting the creative community in Frisco. Meet Terrance Price, founder of this new concept soon to be known as Makers Gym. He describes it as a place designed to support all creatives and arts advocates with the tools, studio/workspace, and network to nurture their skills and grow, without the large financial overhead of equipment and office space. Upon discovering Nack Development, Price was immediately drawn to working with President Donny Churchman. Both companies embrace a plan to support the arts and creative community in Frisco. What better place to do so than in the Rail District where you can connect and cultivate while a renaissance is taking place in the downtown area? 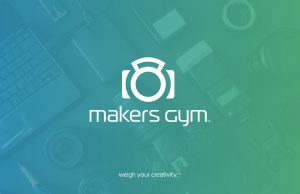 Makers Gym will fit right in and is the perfect place to attract talent, nurture and network. This location will offer traditional co-working amenities (brainstorming areas, meeting/conference rooms, private work rooms, office space, hot desks, etc. ), creative studios (photography and video studios, editing and sound studios, print studios, illustration studios), production equipment (cameras, computers, lighting), creative classes, networking events, and freelance opportunities. This space is geared toward the creative market: professional/corporate creatives who need freedom outside of work and an outlet to grow creatively, full-time freelancers who need creative space and equipment to do more efficient and affordable business, creative students and recent graduates who need more experience and a bigger network, social influencers/bloggers, and people who are just beginning to explore their creativity. One thing is for sure, each of these merchants was drawn to the creative eye and passion for downtown destinations that Donny Churchman embraces. Patios at the Rail promises creative spaces, exciting entertainment, inventive eateries, and a place to make memories. Follow Nack Development online for updates on The Patios, as well as their other Rail District projects, The Tower at the Rail, The Calaboose, and Nack Theater.